Feel the power of colours with new Liebherr products! - Fore. Living Solutions. 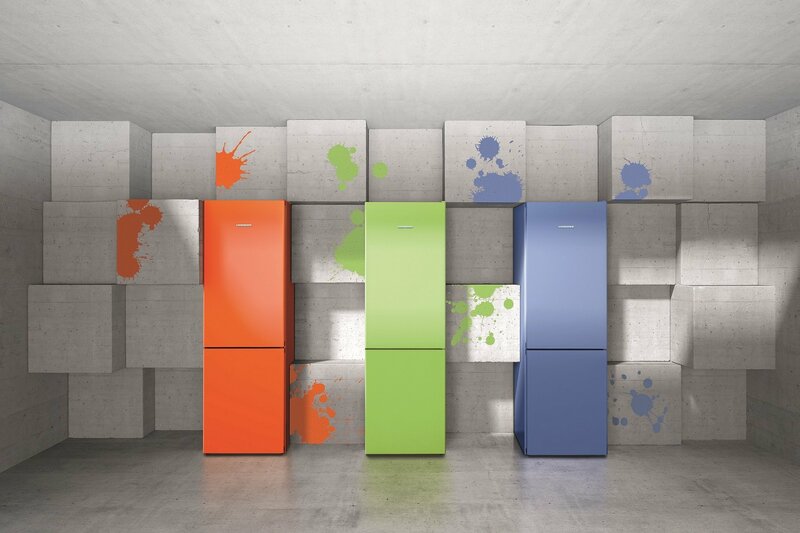 Feel the power of colours with new Liebherr products! Colour means style. Colour means character. Colour means power. 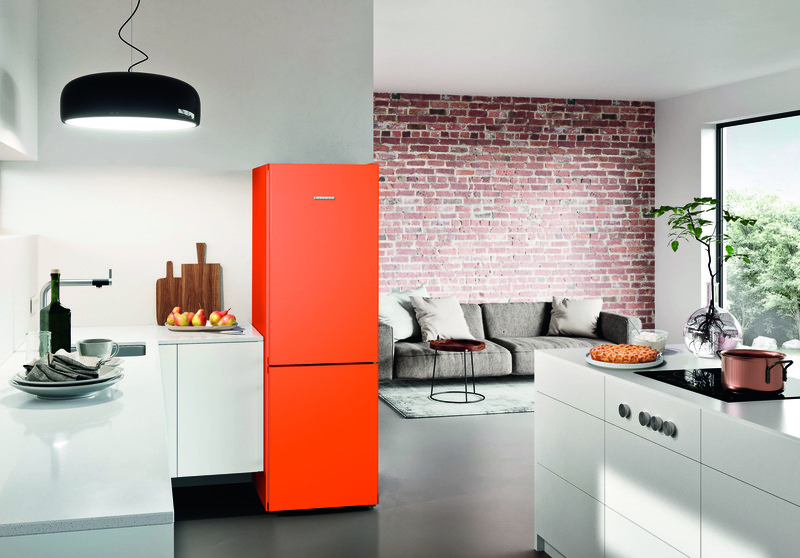 Liebherr has created a new line of fridge-freezers, which bring about a true revolution in the kitchen space. The ColourLine is a response to the hot, timeless and autumn trends. The vibrant colours combined with reliable technology create a duet, which will capture attention of all design fans… and many more. The autumn trends love colour, and this year, the designers focus on the so-called colour dominant – an element that captures the eye and gives a space a unique character. Classic kitchen interiors with an added juicy accent become extraordinary and will easily withstand any test of time. 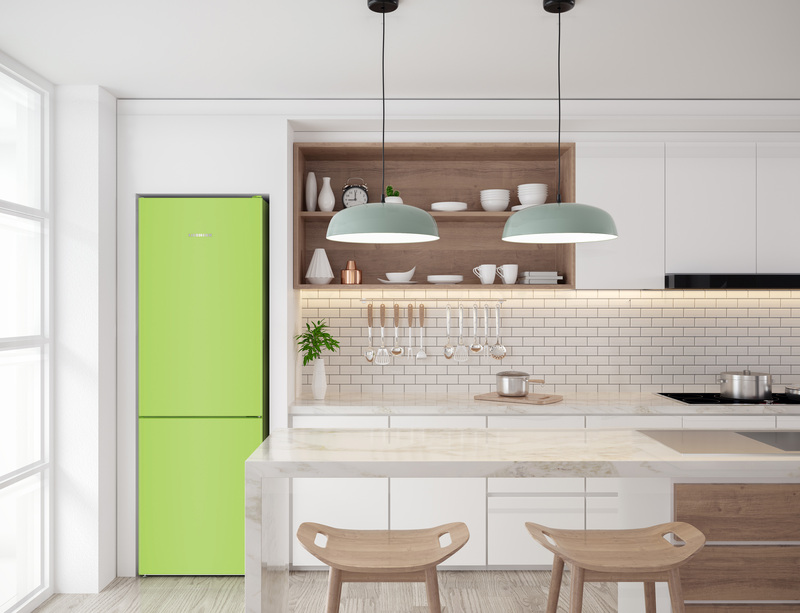 This autumn, fridge-freezers with modern designs will enable you to create and implement a perfect design. A green fridge-freezer? Sure – in the Kiwi Green shade. The premiere CNkw4313 model is a proposition for those who are looking for something pleasantly fresh in their kitchenette. The colour evokes an unforced smile on your face, gives you energy and takes you on a journey to the tropical world of nature, while being an amazingly stylish remedy for autumn sadness. This season is all about greens! For the fans of cooler colours, we have created the CNfb4313 Frozen Blue model – strong, expressive and elegant, with colour that has been dominating the kitchen interiors, as well as spacious living rooms for a number of seasons now. It helps you gather your thoughts and make your decision, which makes it a perfect choice for the place where you often face culinary dilemmas. Simply put – it is a device for people with high expectations, who love the Scandinavian style in their interiors. The energetic CNno4313 model in Neon Orange colour is a proposition that will warm up any room or interior by being both dynamic and bold, while its very name evokes the image of an aromatic Californian orange to your mind. It will be a great colourful accent that will brighten up your kitchen – so tasty you will want to open it. NoFrost – the products put in the freezer are frozen with circulating air and any moisture is expelled. As a result, the freezer compartment is always free of ice and the food never frosts over. NoFrost convenience means never having to defrost your freezer. SuperFrost – the system quickly lowers the temperature in the freezer to -32 degrees Celsius in a very short time in order to preserve the nutritional value and excellent flavour of the frozen products. 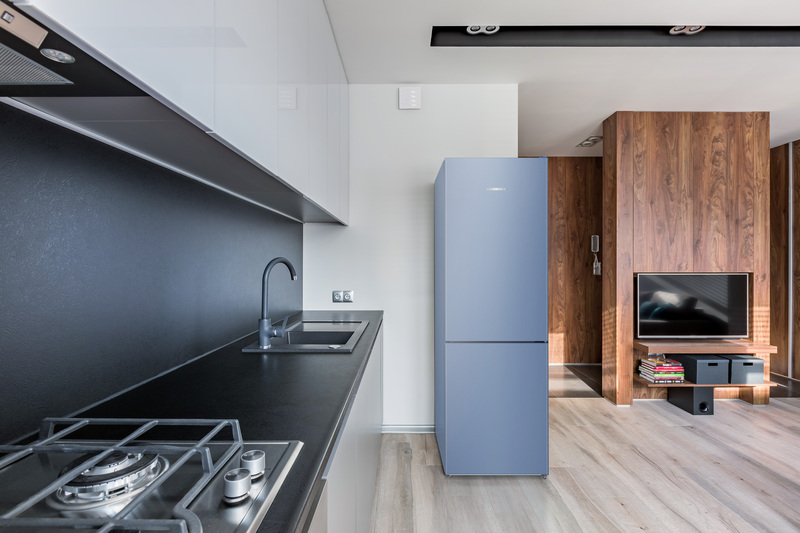 DuoCooling – the temperature in both the refrigerator and freezer compartments is precisely set and controlled using two separate cooling systems, preventing the mixing of smells and drying the products out. The class A++ energy efficiency complements the list of modern technologies in the devices.